Do you know any businesses who are looking for Independent (commission-only) sales partners just like you? Or those interested in growth or expansion to new markets? Your remit is simple. 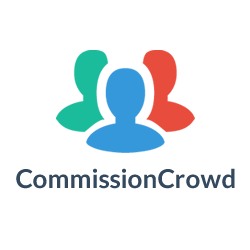 Sell memberships to CommissionCrowd to the kinds of companies you would love to work with. We don't need to explain the benefits of working with independent sales partners to you! But our approach is different. We care about working with companies to help them understand how to get the best out of their partnerships with you. As well as providing bespoke functionality that helps agents and companies manage their relationships in a way that protects their autonomy. We're now looking to expand our team for our next phase of growth and there couldn't be a better time to connect with us. We are looking for all agents that are, passionate, inspired, hungry, dedicated, and ready to sell. We're looking for someone just like you, who's able to prospect for us, close the deal, and for you to make lifetime residuals on your client that you bring to us. Experience is not needed as our CRO is also Sales Trainer.